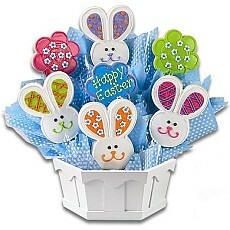 *Promo for 10% off any Easter gift (no minimum) or 20% off any Easter gift of $50 or more. 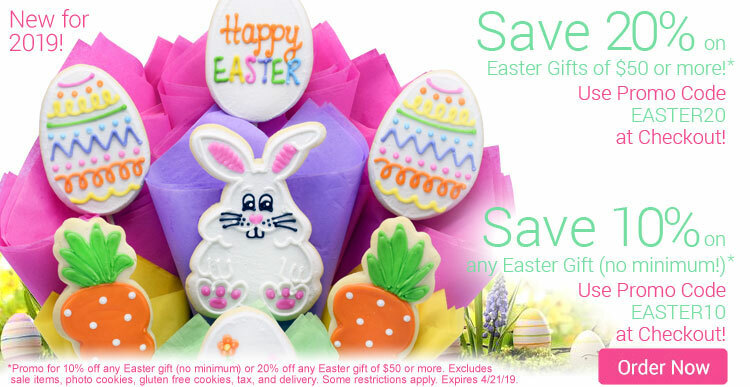 Excludes sale items, photo cookies, gluten free cookies, tax, and delivery. Some restrictions apply. Expires 4/21/19. 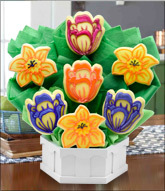 As the original cookie bouquet company we pride ourselves in preparing arrangements of fresh baked, hand decorated sugar cookies that are suitable for any holiday or occasion. With over 30 years of experience baking the perfect cookie and creating our unique velvet smooth icing using our special recipes and quality ingredients, we have a gift that tastes as good as it looks! 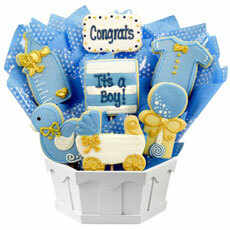 Our cookie arrangements can be customized for any occasion and can always be personalized with a name or special message. 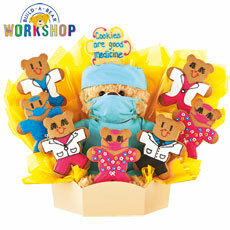 While cookie bouquets are our specialty, we also offer a range of other gourmet gifts. 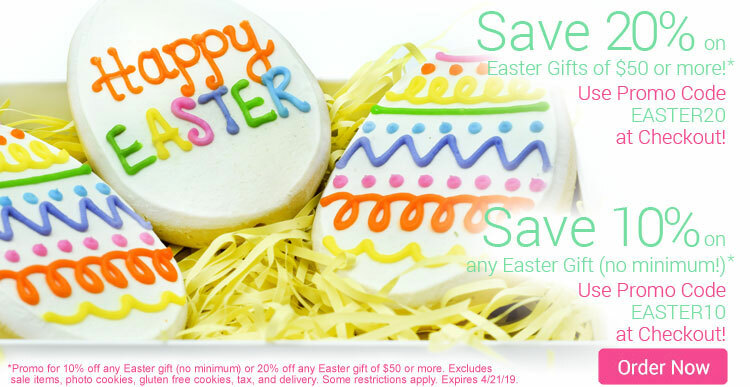 From cookie gift baskets to cookie cakes, gourmet brownies or chocolate brownie truffles all of our delicious treats are made by hand to create a delectable gourmet gift that satisfies any sweet tooth. To make the gift extra special, we have the ability to create photo cookies with pictures of your loved ones or add a Build-A-Bear keepsake teddy bear to a bouquet. 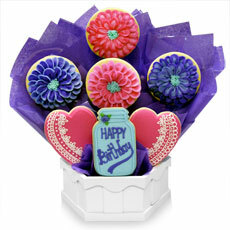 Create the perfect party gift with our custom cookie favors that are the same cookies as in our bouquets, only smaller. Do you or your loved one have a Gluten allergy? Don’t worry; we have gluten free cookies that have been painstakingly developed to contain all the delicious flavor of our traditional recipes, together with our unique designs. 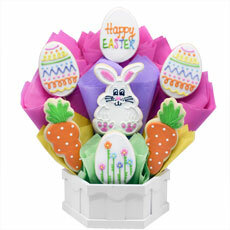 Browse our wide selection of gourmet gifts and you will see we have cookies for any occasion. 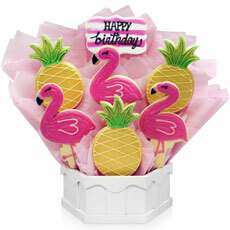 In most areas we provide hand delivery of your gift to enhance the WOW factor! Need a last minute gift? 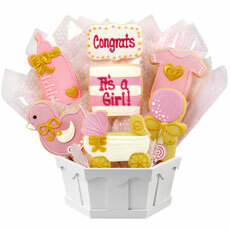 We also offer same day gift delivery on many of our hand decorated cookie arrangements. 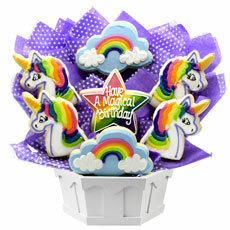 Send a personal and creative gift today with a cookie delivery of delicious treats they will love! 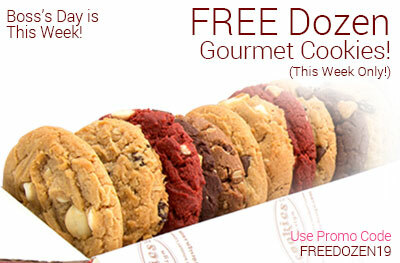 We offer nationwide cookie delivery. 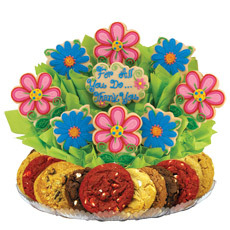 Whether you call it a cookie bouquet, a cookie gift or a cookie gram, we have arrangements that will brighten someone’s day no matter what the occasion! 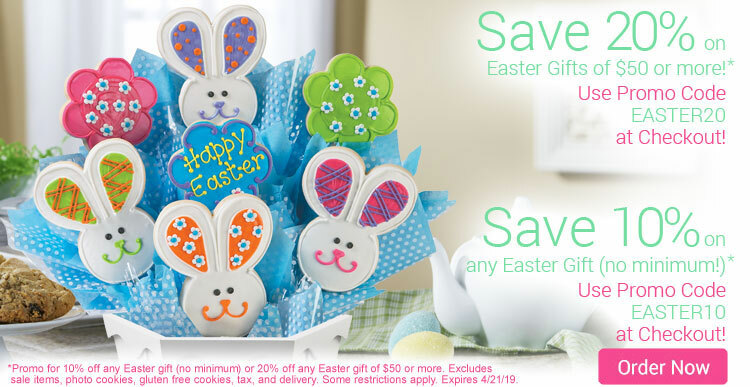 From wedding gift baskets and cookie favors to birthday gifts and thank you gift baskets to get well cookie gifts, we have the perfect gift ideas all in one place. 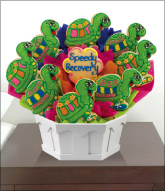 Our baskets, bouquets and trays are great for anyone, whether you are looking for a gift for her, a gift for him or for a very special child in your life. 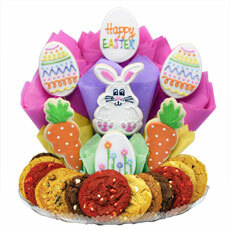 Cookies by Design makes it easy for you to send a truly special and memorable gift. 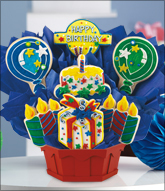 Besides special occasions, we offer creative holiday cookie arrangements for those special days throughout the year. 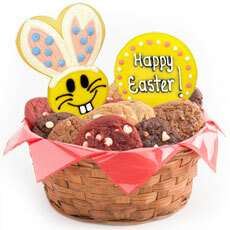 We have dozens of cookie designs to satisfy your Christmas, Mother's Day, Father’s Day, and Valentine's Day gift basket needs, just to name a few! 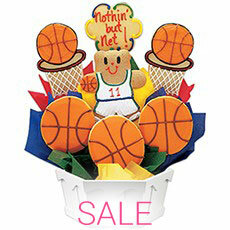 Need a gift for your client or someone in the office? 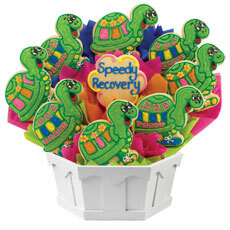 Cookies by Design has a variety of delicious corporate gifts to help you market your company in a truly unique and memorable way. 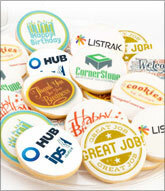 Our delectable gourmet cookies or Logo cookies enable you to delight or thank prospects and customers as well as help you celebrate your employees. Our Gifting Specialist will help you choose corporate gifts that are sure to impress! We have a range of options to handle all your business gifting needs! 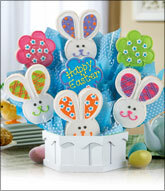 sneak peeks on new products, and receive special offers! *A welcome email will be sent within 24 hours.